Selections for business stationery which includes stationery, envelopes, business cards, magnets, flyers, sell sheets and brochures. Previous blog posts and catalog information is included. Catalogs may include other information. We’ve come a long way since the need to have a messy stamp pad on the desk. I still have a few old wooden stamps and there remains a market for them if you need “bigger” than you can get on pre-inked or self-inking stamps. If you need a wooden stamp give us a call and we’ll get it but for now we’re going to discuss other options. There are many sizes for a variety of tasks. 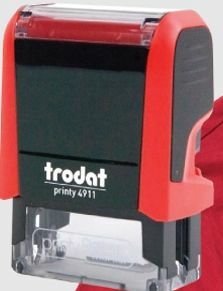 Most of the stamps we sell are for business use but individuals need them too. The newest stamp is the clothing marker stamp. It is easy to use, non-toxic and has washable ink which is permanent up to 194 degrees Fahrenheit. It’s great for identifying your kids gym clothing. 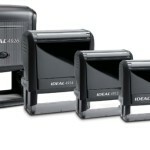 We offer notary stamps too! The online form is limited to Texas notaries, but we can do them for all states, just give us a call for instructions. We’ve selected a few popular styles to showcase and allow direct ordering from our website. Each order receives personal attention before being sent to the factory. So many choices! We’re ready to help so start by ordering today.